Have you ever had a chance to discover and keep a look at every scene in Hanoi? There is a wonderful and exciting way offering to you to discover Hanoi that is to sit on a cyclo and the driver will drive you to the place you want. 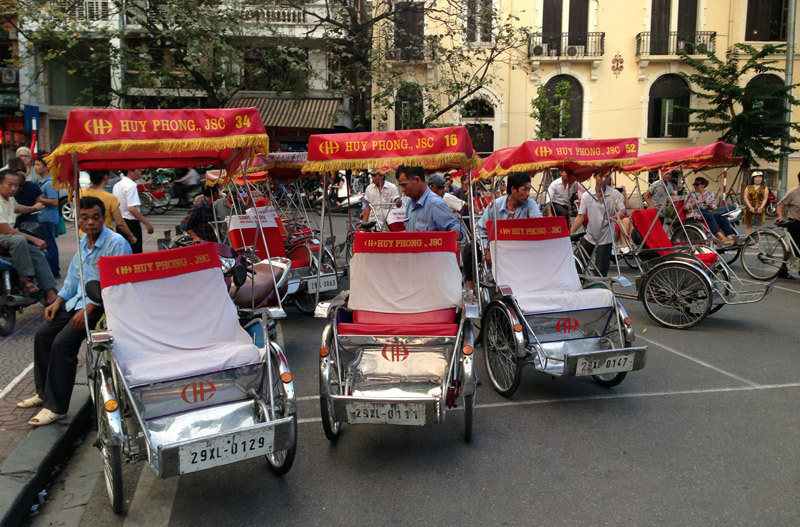 To discover and admire Hanoi on a cyclo, you should hire a cycle or book a cyclo tour, then follow your trip. It is very wonderful and interesting to explore the ancient and peaceful rhythm of the city on a cyclo. 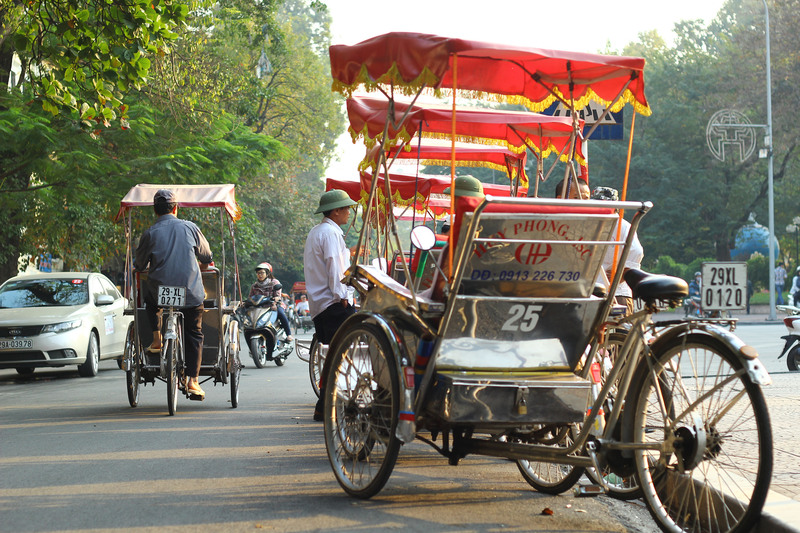 The cyclo slowly rolls on the streets to let you see and explore everything in Hanoi. You can choose to move around Hoan Kiem Lake or discover 36 streets at Hanoi Old Quarter, the cyclo will take you to the place you want. Moreover, the drivers may give some advice and introduction to the landscapes that you are driven. Never before have you had a chance to discover and travel by this way. The cyclo take you across every street and you just need to sit on it, let your eyes look around and feel the pace of life in the thousand – year – old city. There are people walking around Hoan Kiem Lake, Bia Hoi shops with a lot of customers, street vendors with a lot of goods on their shoulders, landscapes and trees, flowers in different colors; all of these are what you can see when sitting on a cyclo. Listening to the warm and funny voice of drivers through the streets will bring you more memories and experience. It absolutely will bring you unforgettable experience and let you discover new things in Hanoi.